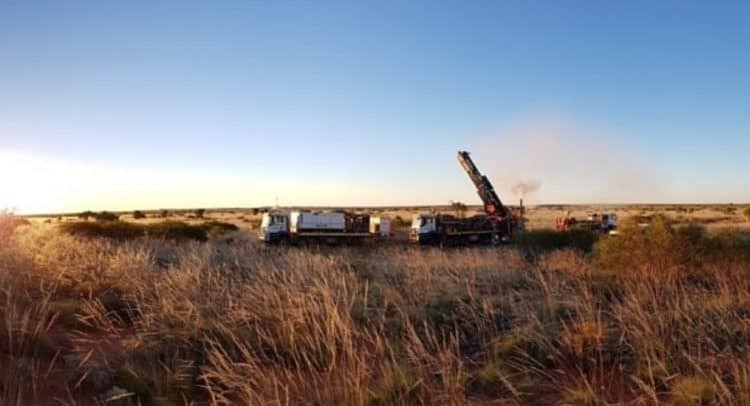 Gervaise Heddle, Chief Executive Officer, commented: “We are very pleased to see significant visible mineralisation in all holes of the current drilling campaign. We believe that these observations, when combined with recently reported assay results and the results from new geophysical modelling, provide further evidence to support our view that Havieron has the potential to represent a very large mineralised system. Greatland Gold plc (AIM:GGP), the precious and base metals exploration and development company, is pleased to announce that initial observations reveal the intersection of significant visible mineralisation in every hole of the Company’s current drilling campaign at its 100% owned Havieron licence. Information in this announcement that relates to exploration results is based on information compiled by Mr Callum Baxter, a director of Greatland Gold plc, who is a member of the Australasian Institute of Mining and Metallurgy and Australian Institute of Geoscientists. Mr Baxter has sufficient experience relevant to the style of mineralisation and type of deposit under consideration and to the activity which has been undertaken to qualify as a Competent Person as defined by the 2012 Edition of the Australasian Code for Reporting of Exploration Results, Mineral Resources and Ore Reserves (the JORC Code) and under the AIM Rules – Note for Mining and Oil & Gas Companies. Mr Baxter consents to the inclusion in the announcement of the matters based on their information in the form and context in which it appears.